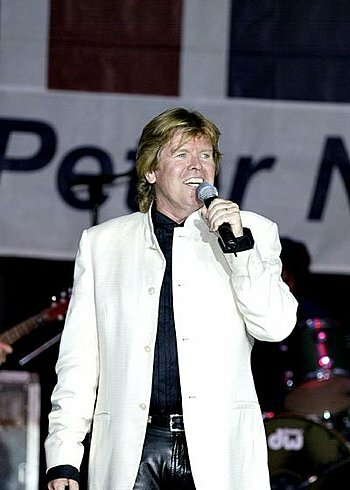 Lead Singer of Herman's Hermits, Television Host and actor. “I’m Into Something Good” “Mrs. Brown, you’ve Got A Lovely Daughter”, “I’m Henry the VIII, I Am”, “Silhouettes”, “Can’t You Hear My Heartbeat”, “Just A Little Bit Better”, “Wonderful World”, “There’s A Kind of Hush”, “A Must To Avoid”, “Listen People”, “The End of the World” and “Dandy”.